In this post, we cover everything you need to know about Extra Magic Hour at Disney California Adventure. This includes what this offerings is, who can access it, what rides are available, and our strategies for getting the most out of it. If you’ve already read our Extra Magic Hour & Magic Morning at Disneyland post, much of this post will be redundant, so feel free to use the contents below to jump to the section you’re interested in. Let’s start with the basics of Extra Magic Hour—what it is, when it happens, and who can use it. We won’t be dealing with specific park strategy in this section. Extra Magic Hour is a perk of staying at a Disney hotel (Disneyland Hotel, Disney’s Grand Californian Hotel & Spa, and Disney’s Paradise Pier Hotel) at Disneyland. It is an exclusive offering to those guests. Every day, either Disneyland or Disney California Adventure is open an hour early for Extra Magic Hour for Disney hotel guests. Guests must show their key to enter the park early, and only certain rides are operational during this time. Roughly speaking, the park that is open early alternates daily, but back-to-backs do happen. (As you can see, Disney California Adventure gets Sunday and Monday.) Disney hotel guests get access to Extra Magic Hour every day of their stay, including arrival and departure days. Because you must show a room key, you will need to check in before using Extra Magic Hour. 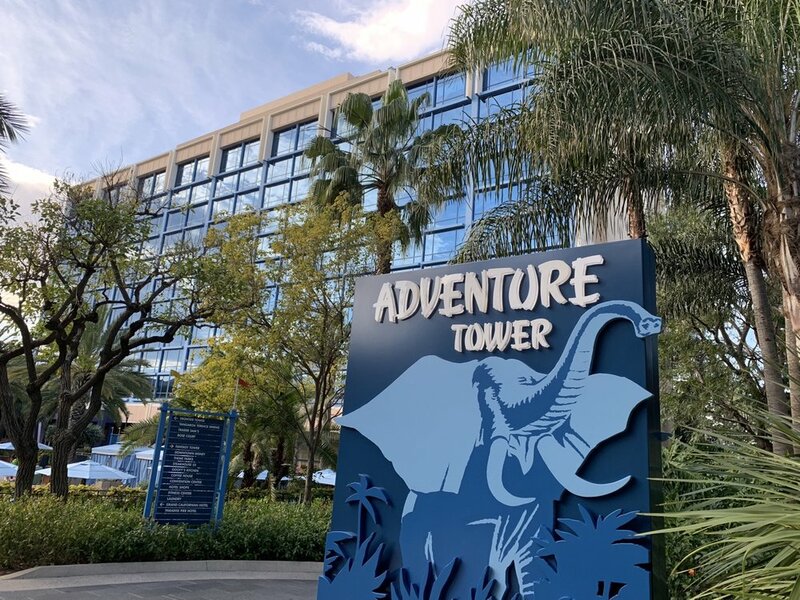 In short, Magic Morning allows some Disneyland ticket holders—regardless of where they’re staying—to access Extra Magic Hour at Disneyland Park with the Disney hotel guests. There is no Magic Morning at Disney California Adventure any day. Every morning I visited that park for Extra Magic Hour, disappointed guests were told there was no Magic Morning at Disney California Adventure. What if I don’t have Extra Magic Hour? If you don’t have Extra Magic Hour, you’ll want to start your day at the park that does not have Extra Magic Hour that morning. There’s no sense starting your day in a park with Extra Magic Hour if you don’t have it, as the waits and FASTPASS availability will be worse. 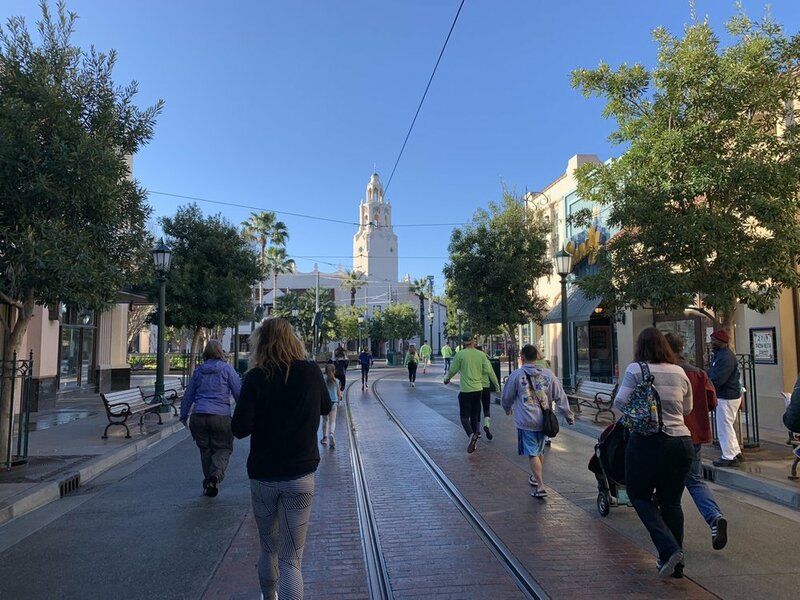 If you’re here just looking for information on starting your day at the parks, we have two other posts—our guide to rope drop at Disneyland and our guide to rope drop at Disney California Adventure. Several other guides we’ve read about Extra Magic Hour miss out on some fairly fundamental concepts, so we want to take a second to explain the basic of our strategies. First, you’re here for two rope drops (the time when rides open)—early and regular. You need a strategy for what you’re going to do during the bonus hour and what you’re going to do when the rest of the park opens. You get two chances to walk right up to a ride when it opens (“rope drop”)—when part of the park opens for you and when the entire park opens for everyone. Use these opportunities wisely! Second, still arrive early. We still recommend you arrive at least 15 minutes early for your extra hour. Personally, we always arrive 30 minutes early. I’ve seen different rope drop protocols followed. Either guests will be let into the park early and corralled on within the park until the bonus hour starts (common during the week), or guests will be kept outside the turnstiles until the bonus hour starts (common on weekends). Third, long rides and long loads are awful. Avoid Soarin’! 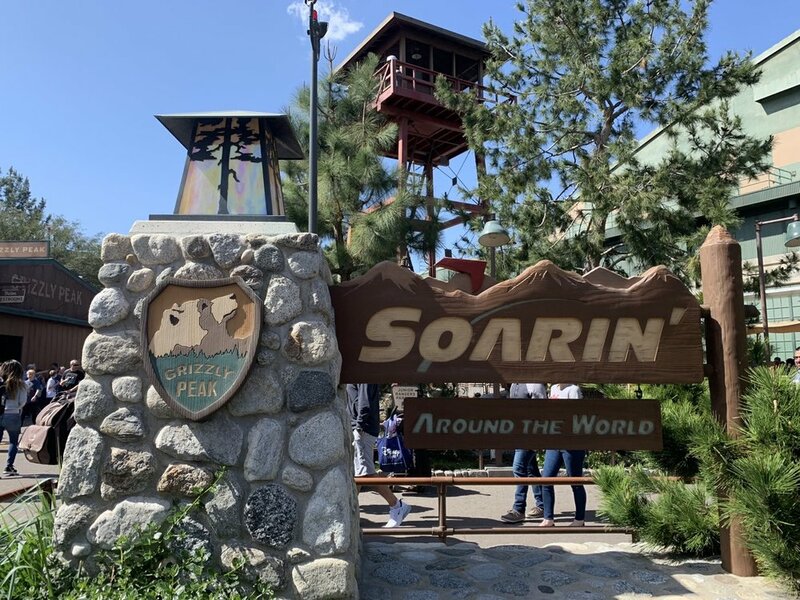 Soarin’ regularly has good FASTPASS availability at Disney California Adventure, it can take forever to load and operate, and it isn’t near other bonus hour rides. Anything that takes a long amount of time is simply not worth it in your first hour. Fourth, don’t zigzag around the park. We’re very fast walkers, but some strategies are clearly written by people driving Ferraris from ride to ride. If a ride next to you has no wait (and is a short ride), it’s probably a better option than running to an “E-Ticket” (they must know what they’re talking about if they say “E-Ticket”) on the other side of the park. Extra Magic Hour is really enhanced by having MaxPass. If you haven’t yet, you should read our guide to FASTPASS and MaxPass at Disneyland and Disney California Adventure. 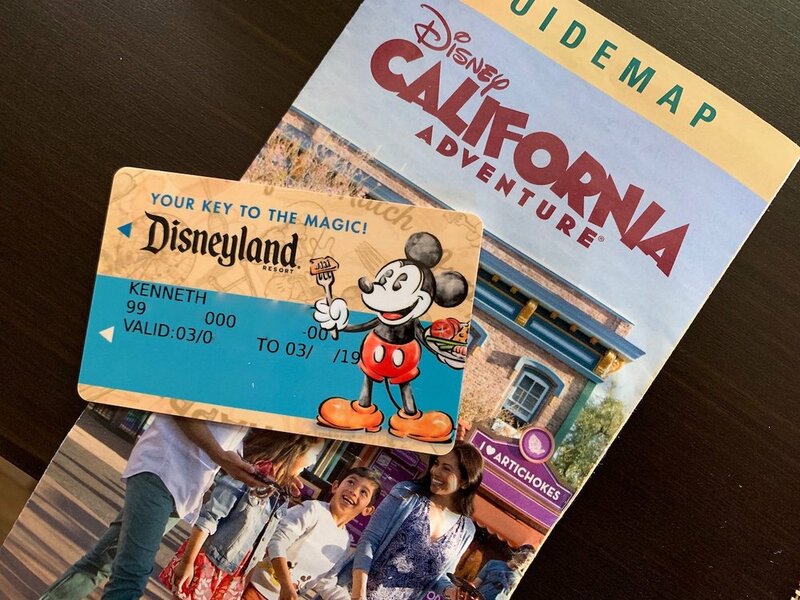 We generally assume you have MaxPass at least one day of your trip, and if you’re visiting for Extra Magic Hour we really think you should get MaxPass for this day of the trip. Here are a few notes about MaxPass and FASTPASS during the bonus hour. There are no FASTPASS windows during the bonus hour. If the park opens to the public at 9AM and you arrive at 8AM for Extra Magic Hour, the first FASTPASS times you’ll be able to book for at 9AM or later. There is no FASTPASS window for 8AM to 9AM. Sometimes you can use MaxPass before you set foot in the park. This is a fun trick I learned at my first Extra Magic Hour. Eager to be among the first in the park, I arrived at the gates 45 minutes before the bonus hour started, which put me near the front of the line at the gate. At about 5 minutes before the turnstiles open, they started scanning tickets without letting people through the turnstiles. Only the first five to ten people in each line will get scanned in early, but as soon as they’re scanned in, they can book MaxPass. You can usually make two FASTPASS bookings during the bonus hour. You’ll grab the first one right when you enter the park for the window at the first hour of the park’s public hours. Then you’ll grab the second right at the time when the park opens to the public (because it is when your first FASTPASS starts). Now let’s get to the specifics of Extra Magic Hour at Disney California Adventure. What rides are available for Extra Magic Hour at Disney California Adventure? You can read more about these in our guide to the rides of Disney California Adventure. Best I could find, Disney does not maintain a currently list of EMH attractions online. We will try to keep this updated, but it’s not as if we’re Disney hotel guests every day. What should I ride at Disney California Adventure during Extra Magic Hour? Unlike in Disneyland park, you actually don’t have many good options for avoiding FASTPASS rides during Extra Magic Hour at Disney California Adventure. Indeed, Disney California Adventure has so few rides overall that a full day at the park should include two visits to all the major rides. Almost no wait for row 1 on Incredicoaster! The biggest challenge for Disney California Adventure is walking around. Especially with the ongoing construction, you need to plan carefully to avoid walking back and forth unnecessarily (unfortunately several other guides to the bonus hour completely ignore this). These strategies should usually be read in conjunction with our one-day Disney California Adventure Itinerary. Or you can visit EMH at Disney California Adventure before heading over to Disneyland to use our one-day Disneyland Itinerary. finish near Pixar Pier / Paradise Gardens Park for the public opening time. Ride Toy Story Midway Mania! The major goal of Extra Magic Hour at Disney California Adventure, other than riding rides, is to be at Pixar Pier and Paradise Gardens Park right when the regular park opening occurs. From there, you can speed through a huge chunk of rides—Pixar Pal-A-Round, Goofy’s Sky School, Golden Zephyr, Jumpin’ Jellyfish, and Silly Symphony Swings are all right there. Soon, we’ll have Inside Out Emotional Whirlwind! and Jessie’s Critter Carousel joining the party in the area. While everyone arriving at the park at its regular open is heading to the big names, you’ll be able to embrace short waits on all of these until you tire out and need breakfast. 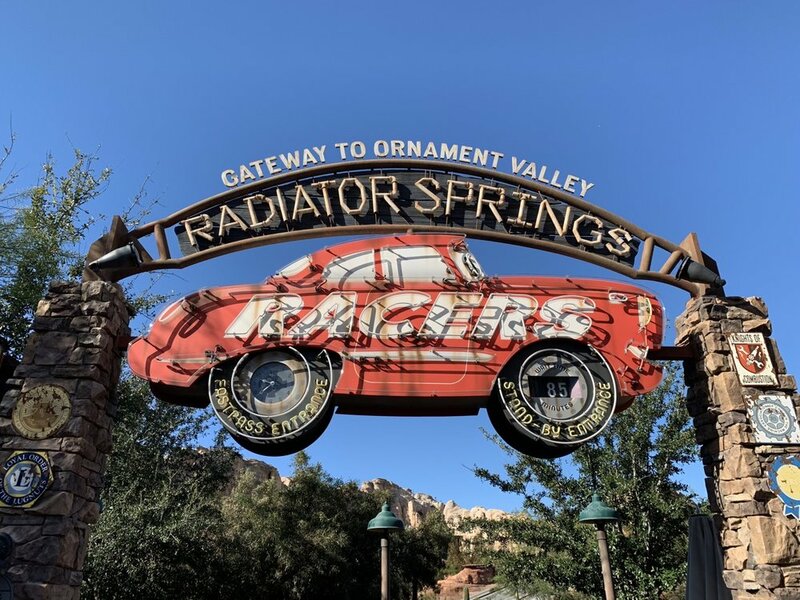 We’ve encountered days where Radiator Springs Racers isn’t open right away, in which case you should use MaxPass to grab a FASTPASS for that attraction, then start with Guardians of the Galaxy followed by Monsters, Inc.
There’s a chance you’ll be off Toy Story Midway Mania! a little later than the park opening time, but you should still be fine to ride it and then visit the other rides in the area with short waits. 7:18AM - Walk on Guardians of the Galaxy — Mission: BREAKOUT! 7:40AM - Walk on Toy Story Midway Mania!